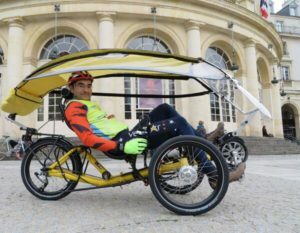 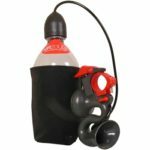 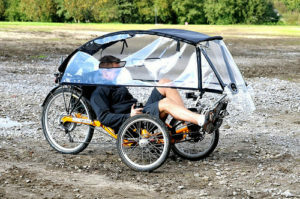 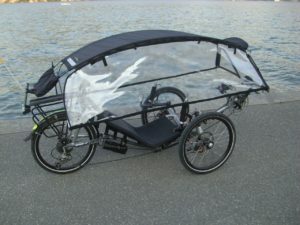 BRC: The Veltop windscreen/canopy provides both foul weather and sunshine protection and can be mounted on most recumbent trikes. 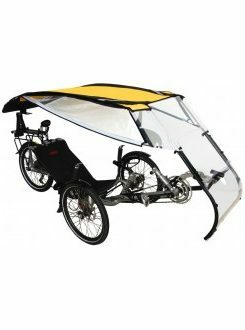 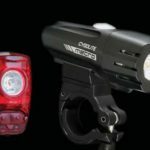 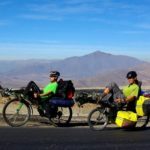 Veltop: The VELTOP RECUMBENT 3 provides an excellent protection by rain, cold and sun and allows to ride in all weather conditions. 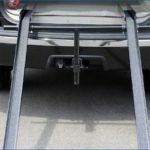 The canopy is of polyester with a water-resistant treatment and is equipped with reflection strips in the back. The canopies are entirely manufactured by us in our french production site in Savoie. 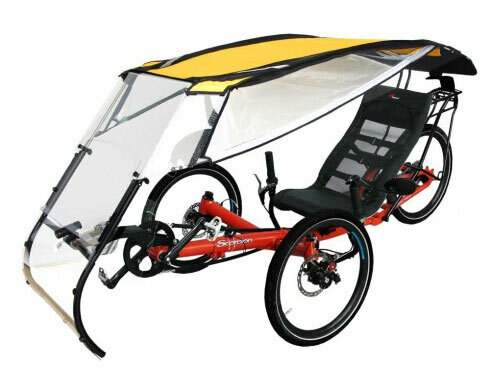 The VELTOP RECUMBENT 3 can be installed on nearly all models of recumbent trikes.